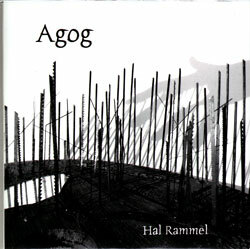 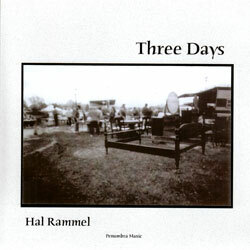 A book and 2 CDs celebrating the 25th anniversary of this unusual and fascinating musical instrument designed and built by Hal Rammel, an artist's palette outfitted with a contact mic and vertically-mounted rods, played with a variety of uniquely designed bows and mallets. 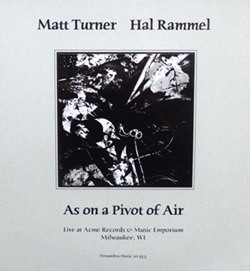 A live recording by the long-running duo of Matt Turner on cello and Hal Rammel on amplified palettes at Acme Records & Music Emporium in Milwaukee in 2015 as part of the Audible Electricity series, presenting uniquely voiced and detailed improvisations. 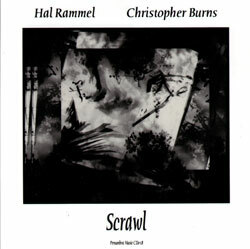 Focusing on amplified percussion via Hal Rammel's percussion palettes, and Chris Burns' work with electric guitar, this Milwaukee area duo has been improvising together for many year, as heard in this engaging dialog of unusual interjection and tone. 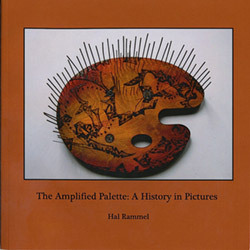 Hal Rammel plays a collection of solo works for amplified palette, an instrument he created, that were recorded in realtime using multiple palettes arranged as a tabletop instrument and played with a variety of mallets. 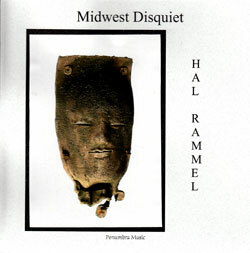 Hal Rammel has been building instruments since the mid 1970s; the amplified palette is an artist's palette with attached wood & metal rods played with mallets or bows, amplified with a contact microphone.